Barbizon Midwest Review: Barbizon Midwest- Megan Porter can have her 'Pizza' and eat it too! Barbizon Midwest- Megan Porter can have her 'Pizza' and eat it too! From Ubandale, Iowa, Megan Porter has a lot to show for! 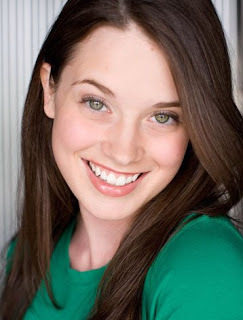 After graduating from Barbizon Midwest, she attended the IMTA competitions in New York in July of 2006. She won several awards including: Young Adult Actress of the Year and Barbizon Young Adult Actress of the Year! She started her amazing adventure in 2006 when she moved to Los Angeles and a few months later, Megan booked a national Pizza Hut commercial and a hidden camera spot for Kotex. Then, in February she booked a music video for Butch Walker called "Pretty Melody"! Things didn't stop for her there! In April she booked a Shelter Insurance commercial and an animated short film which she is about to get the footage for. Way to go to Megan! We will look for your name on a Hollywood star soon!